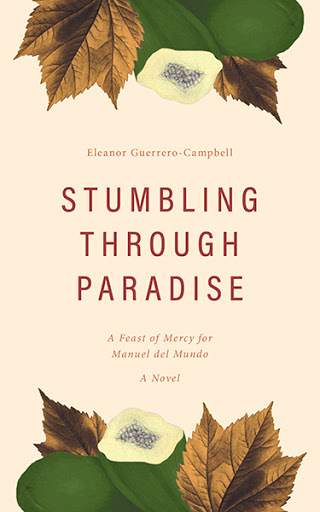 Stumbling Through Paradise: A Feast of Mercy for Manuel del Mundo follows the journey of one Filipino family, who leave everything behind in order to build a new life for themselves in Canada, and their struggle to find their way. Blocked from finding work in their respective fields despite their qualifications and skills, they must decide between pride and practicality, survival and surrender. The choices and concessions they make will impact their lives, and the lives of their children, in countless ways. And in the end, it will be up to the second and third generations to offer redemption, and help create the paradise their parents had hoped to find. A story of determination and hope, Stumbling Through Paradise showcases the indomitable spirit of those willing to risk everything for the chance of a brighter future, and captures with great clarity, the bonds of familial love and loyalty, which may bend but never truly break. Eleanor writes and lives in Vancouver with her husband. When they are not travelling, they enjoy walking, cycling, and exploring the city’s neighbourhoods and cultural life. This is her first novel. There will be a book launch on Saturday May 21, 2016 at the Creekside Community Centre.